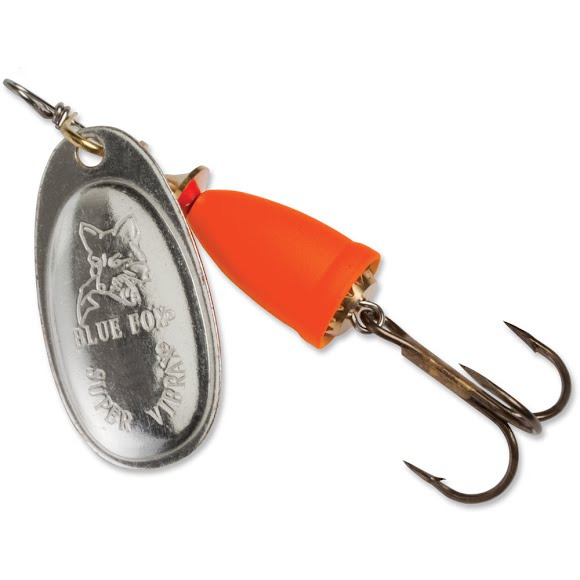 Catch the big one on your next fishing adventure with help from Blue Fox's Classic Vibrax Spinners. These lures are designed with a two-part body that emits a low-frequency sound vibrations that attract fish and trigger strikes while virtually eliminating line twist. Catch the big one on your next fishing adventure with help from Blue Fox&apos;s Classic Vibrax Spinners. These lures are designed with a two-part body that emits a low-frequency sound vibrations that attract fish and trigger strikes while virtually eliminating line twist.